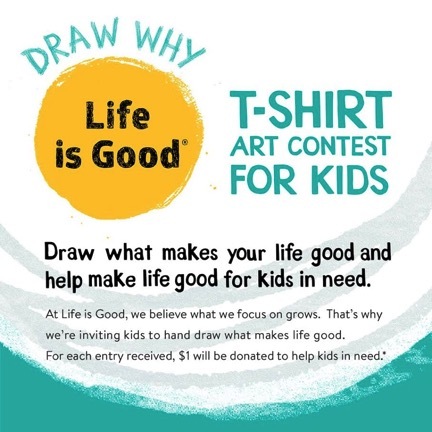 Children 3 to 12 years old are being encouraged to draw why "life is good" to them for a chance to win a $2,000 scholarship and have their design sold as an exclusive T-shirt by lifeisgood.com. Life is Good is an apparel company that brands itself by selling T-shirts that feature messages and images which promote optimism. The 3 contest grand prize winners will have their design included within the Life is Good Kids Collection of T-shirts that display original art with messages of empowerment and positivity to help build confidence in kids and spread optimism to all. These tees which range in size from toddler to Kids XL are made with 100% USA grown cotton, are garment washed for softness and feature double-needle stitching. All net proceeds from the sale of the prize winners' T-shirts will be donated to the company's charitable foundation which funds projects across the country to help kids in need. The Life is Good Kids Foundation is a recognized 501(c)(3) charitable organization by the Internal Revenue Service and has a 3 out of 4 star rating with Charity Navigator. 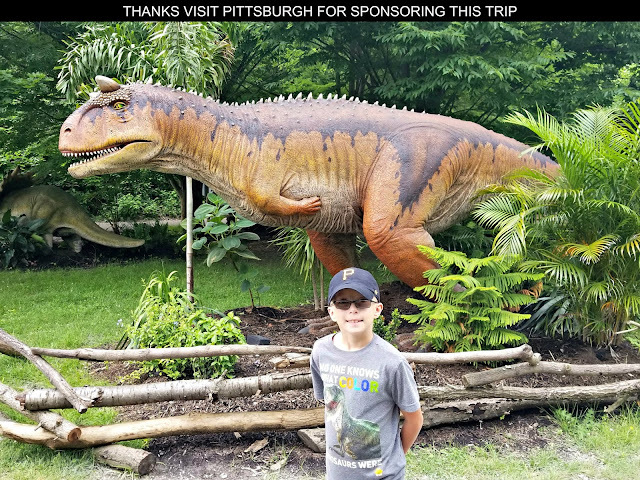 The foundation is primarily funded by the Life Is Good corporation which donates 10% of its annual net profits each year to its charitable offshoot. According to a Charity Navigator review, 78.6% of Life of Good Kids Foundation expenses are spent on delivering programs and services while 19.8% are for administrative expenses such as office space and payroll. 3 Grand Prize Winners of the art contest will receive a $2,000 scholarship, a 3-month membership for MyGym (we don't have any of those in Michigan), and a suite of art supplies. Plus their designs will be sold on t-shirts by lifeisgood.com which will have their net proceeds used to help kids in need. Six 2nd place winners will also be selected to receive a $100 gift card to lifeisgood.com and a suite of art supplies. To enter have your child create a t-shirt design on the form below and send in the completed entry information attached to it and/or take a picture of your t-shirt design done on the form below and post it to Instagram with the hashtag #LifeisGoodbecause. Entries will be accepted until April 29, 2016 at 11:59pm EST. Life is Good will also donate a $1 for each entry submitted through Instagram up to $25,000 to its charitable foundation. For more information, visit lifeisgood.com/artcontest.